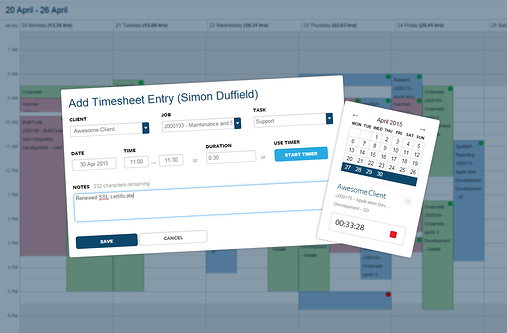 As a business that charges for time, we keep timesheets and use them to invoice customers at the end of the month. But, on top of that, it's more important to me that we know where we are investing our time and to make sure we are investing our customer's money well for them. Everyone hates timesheets, so you have to make them easy and rewarding. The longer it takes people to complete their time, the less accurate it will be. Stop thinking in billable and non-billable hours and start thinking in productivity. We only track billable or project related time. It’s easy to enter a timesheet that adds up to 8 hours every day, without considering that 50% may be unproductive. Tracking all of your time gives you the satisfied feeling that you've filled your day, but if you’re only tracking productive time, then it's clear how much of your day has been productive - whether that be billable to a customer, or an investment in an internal project. Track timesheets using a timer, or start/stop times. This forces you to record time every time you task-switch. Switching tasks (or worse, multi-tasking) is inefficient, so if entering timesheets is a hassle for you, perhaps it’s a reflection that you are task switching too often during the day. A solid chunk of time on a single project will usually be most productive and easiest to record. As a software company, we break projects up into small chunks so we can estimate the time each chunk will take. Then we can bite off a number of chunks and track our actual time spent against estimated time. Regardless of whether a project is internal or for a customer, investing our time intentionally is important and means that there's no room for presenteeism (sitting at your desk all day, but achieving nothing), which is the biggest killer of productivity. 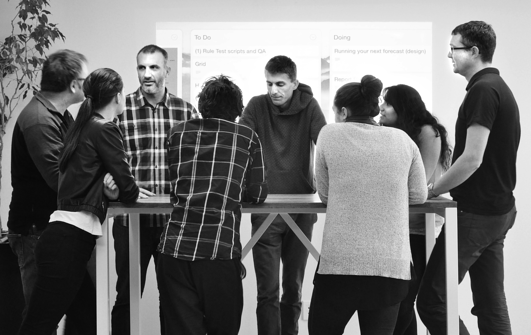 WorkflowMax has been an essential tool in our business for managing projects and time. To help us improve our productivity further, we also created a visual timesheet add-on for WorkflowMax. This works by allowing an overview of timekeeping and task tracking using easy click-and-drag function in calendar format. Dozens of other WorkflowMax users have also found this time tracker addon helpful so we invite you to have a look for yourself. 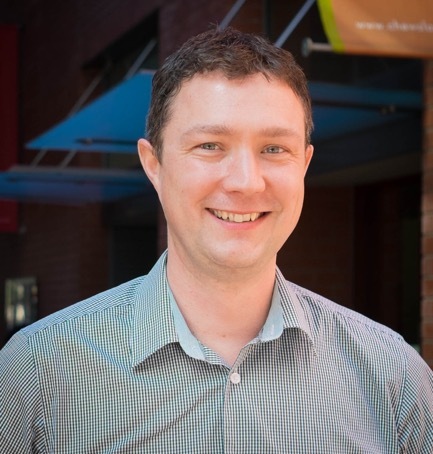 Andrew Butel is the CEO of software development house, EndGame, who specialise in building cloud applications and add-ons. www.end-game.com.